A group is at least 15 people travelling together. Unfortunately we don’t accept children under the age of 14. 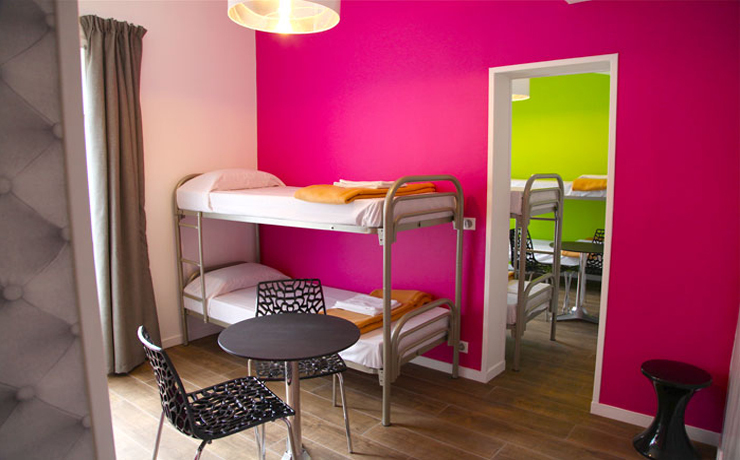 For your group to stay at THE LOFT BOUTIQUE HOSTEL you will have to be at least 14 years old. Unlike some youth hostels we do not have an upper age limit. 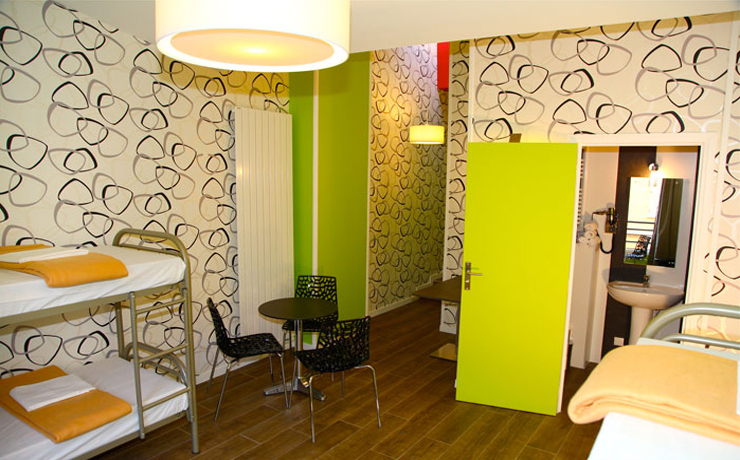 Most of our guests are backpackers and student groups in the 18 to 30 age range. Please be aware that you may be assigned a top bunk! Can you guarantee that nobody else will be staying in our room? When you book a group through our group department, we guarantee that nobody else will be staying in your room. Conditions apply. Can we all be staying on the same floor? We’ll do our best to accommodate you on the same floor, however it is not always possible due to the layout of our building and/or the room type you have chosen. Will we have bathrooms in our rooms? All our rooms have a private ensuite bathroom. Continental breakfast, bedding (sheets, pillows, blankets and small towel) and all taxes are included in prices we quote you. Are groups entitled to a discount? Groups have a special price comparing to our rack rates. We also offer special deals, for more info fill inthe group booking form. Do you have a coach parking? Unfortunately, we don’t have or organise coach parking. Do you request a deposit on arrival? This list is not conclusive. We suggest you book between 1-6 months in advance. The sooner you book, the best chance you have of finding availability for the dates and room types you prefer. Fill our booking form. You’ll get an answer regarding our availability and rates within 2-3 business days. 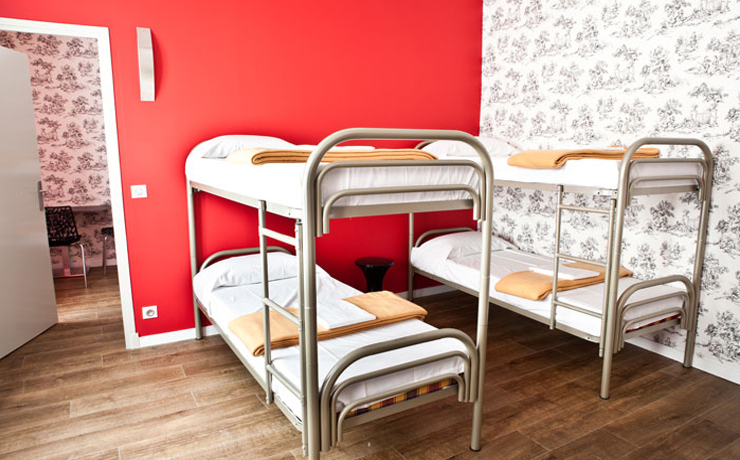 An option is when you ask LOFT BOUTIQUE HOSTEL & HOTEL to hold beds for your group. We usually give a 2 week option to allow you organise your entire trip. The option will expire automatically after the time period agreed. How can I have an option? You must complete the booking form for groups and confirm by email that you are interested in the proposal. How can I confirm my option? To confirm your option (before the option automatically ends), you’ll need to contact us and pay 50% of the total (non-refundable). The balance will have to be paid 15 days prior to arrival. You can pay by bank transfer or credit card. Please note that we only accept payments in Euros. What is your amendment policy? We will do our best to accommodate your changes as long as it is done at least 30 days before arrival. If you wish to change your booking less than 30 days before arrival, it’ll be at the discretion of THE LOFT HOSTEL & BOUTIQUE HOTEL to accept it or not.